The Darbouze Law Group provides aggressive and highly effective representation in various areas of family law throughout Pennsylvania. No matter the locale or case type, we assure you that you will be represented with expert legal counsel and passionate client advocacy. 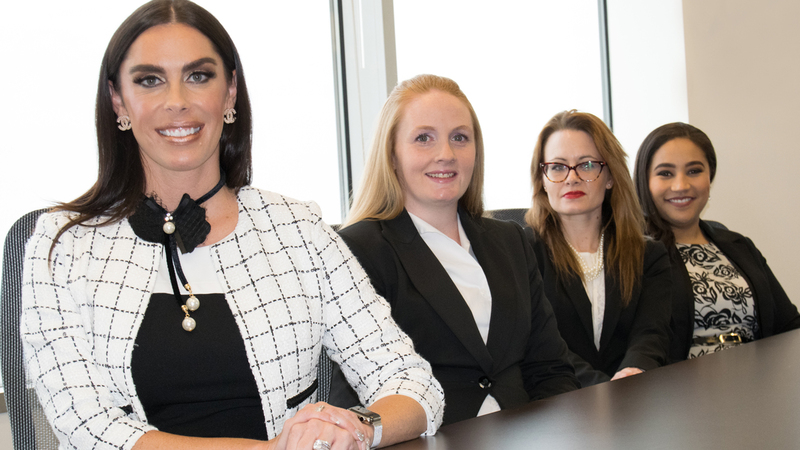 Our all-female firm understands that you have sensitive legal matters. Such cases deserve a high level of attention when handling client concerns. Our attorneys have extensive family law experience, including experience with divorce, mediation, child custody, support modification and adoption. We take great pride in remaining attentive to the individual concerns of each client, and we strive to handle every case with integrity and respect. Our services include modifying support orders, establishing paternity, and subpoenaing financial information. We can assist with filing for both alimony (received after divorce) and alimony pendent lite (received during separation). We can guide you through all stages of the process, including filing the complaint and navigating equitable distribution. Our attorneys can serve as a neutral third party while helping you settle your divorce in an efficient manner. We handle all stages of child custody cases, including conciliation, modification, and enforcement of existing orders. Our attorneys can assist with the adoption process from start to finish, and this service includes stepparent adoption. We can execute prenuptial agreements (signed pre-marriage) and postnuptial agreements (signed during the marriage). We offer legal assistance with filing, extending, and defending against protection from abuse orders.